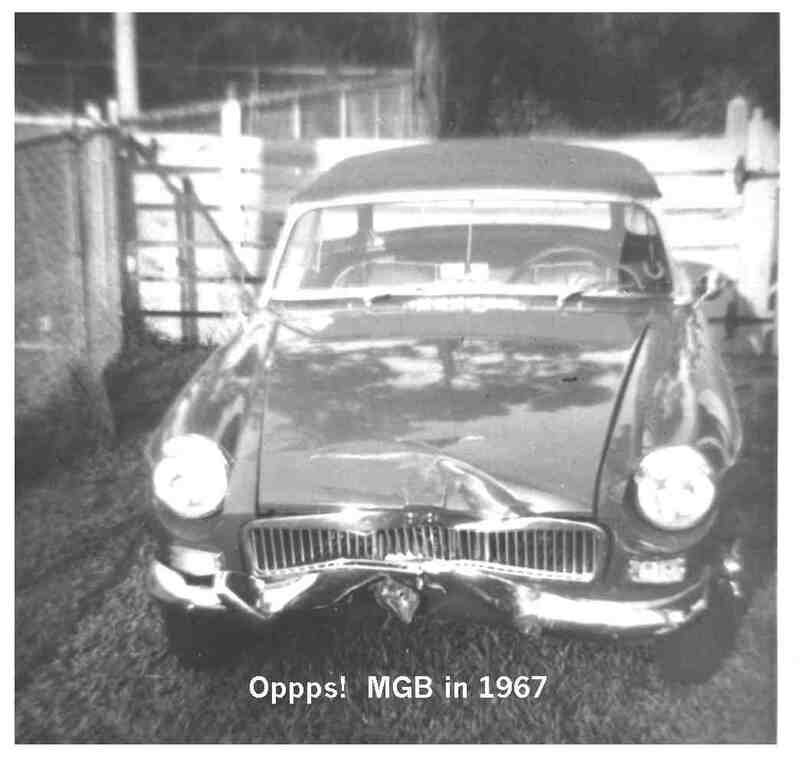 1966 MGB's do not make good battering rams against old American cars. 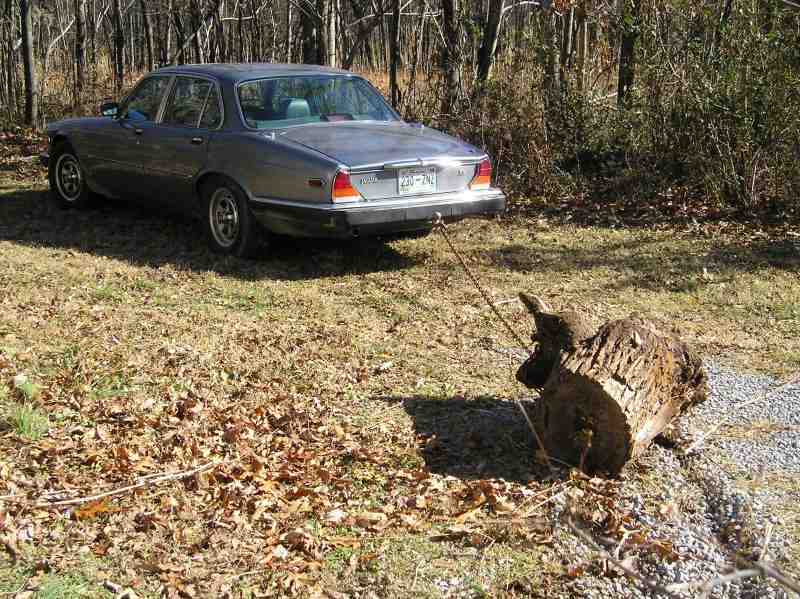 Most people didn't know that Jaguar made tractors but they do and they work fine (as long as the ground is dry) This is not staged, the Jag did pull the stump. I know, the roots were rotten but it still pulled the stump. 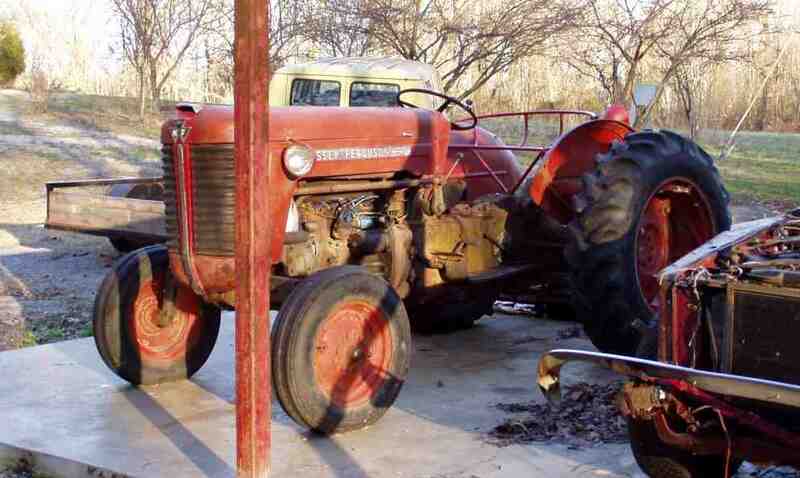 I also have a daily driver, A 1950 MF. It has a Triumph TR-3 cylinder head on it. Since I live in the woods I needed something to haul my Grizzly Bear out to the highway so it don't get it's feet dirty going out my driveway. 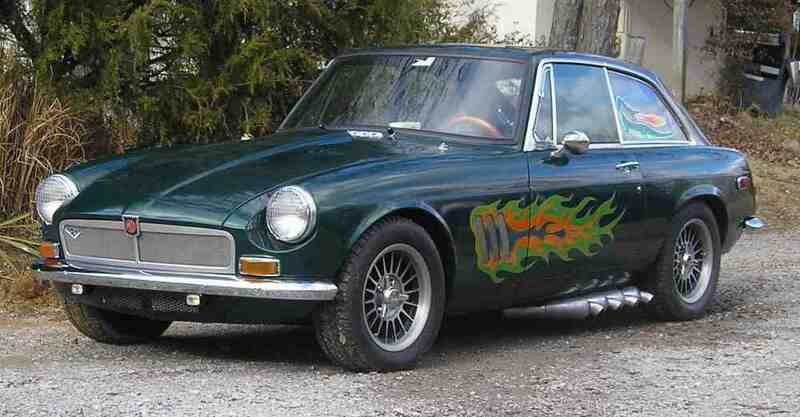 I know that a Jaguar is a cat but this MGB GT is a Grizzly Bear, So it is appropriate that we live in the woods. Who, but an Ogre would have a Grizzly Bear as a pet? No ! it is not a car, it is my pet. 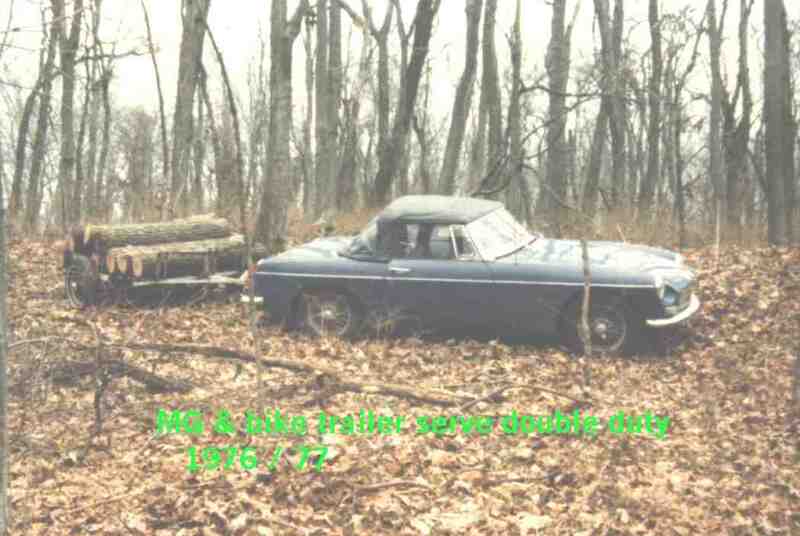 Some say I have it all mixed up by having a 66 MGB as a logging truck, a 87 XJ-6 Jag as my stump pulling tractor and Grizzly Bear that don't like getting it's feet dirty and a 50 MF to haul the Grizzly Bear trailer queen out to the highway. But it works for me.